I am not really a morning person. And I am even less of a breakfast person. Left to my own devices I would stay up until the middle of night, wake at an embarrassingly late hour and have a grilled steak sandwich or a slice of pepperoni pizza when I finally had an appetite. Alas, I am a wife and a mother and I have work to do, so I am up with the birds with a large cup of coffee and NPR. The thing is, I love pancakes. And bacon. And french toast. And scrambled eggs. My friend Diana and I try to meet regularly every couple of weeks so that we see each other in person and not just as emoticon comments on Instagram. 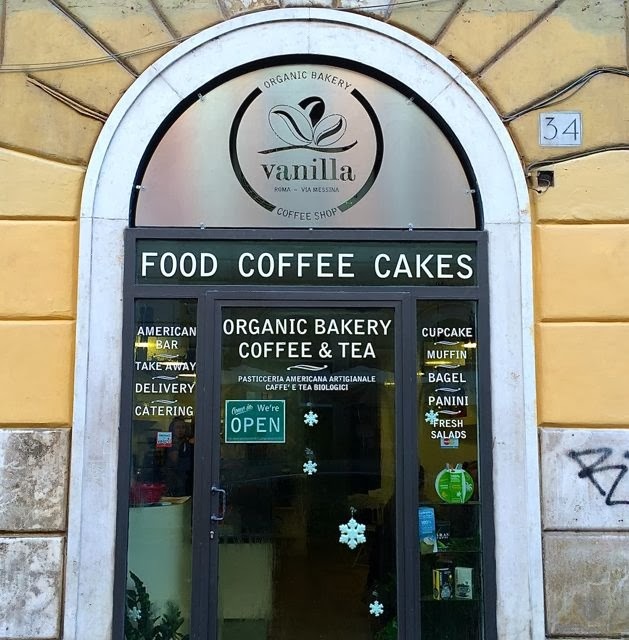 We usually go to the cozy and charming Coromandel near Piazza Navona. 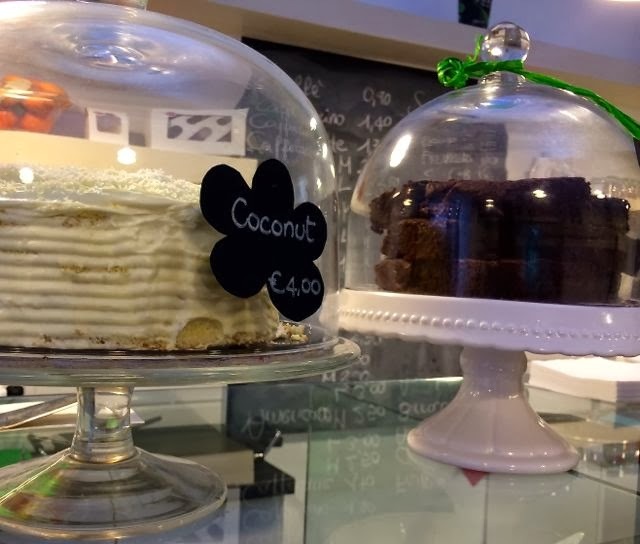 In the spirit of a new year and new habits, we decided to try something new (and close to my new yoga studio)The Vanilla Organic Bakery near Piazza Fiume. Bright and cheery with french cafe chairs and tables the cappuccinos are strong and the tea selection excellent. 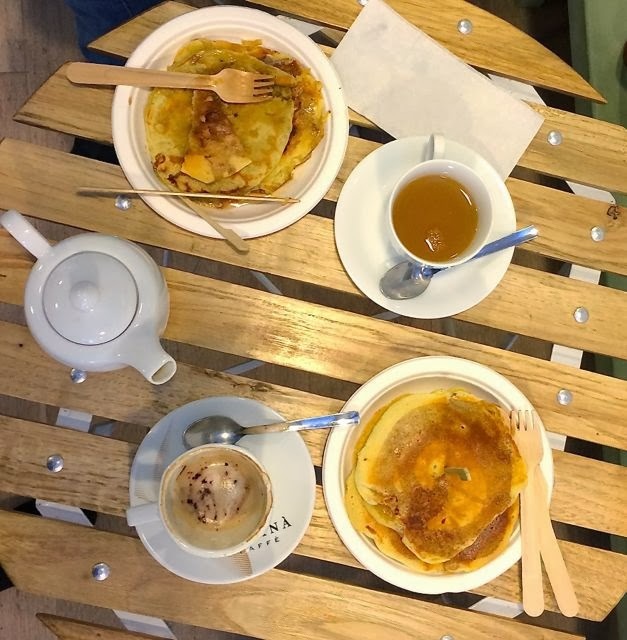 We both ordered pancakes, which are made to order and topped with real maple syrup. 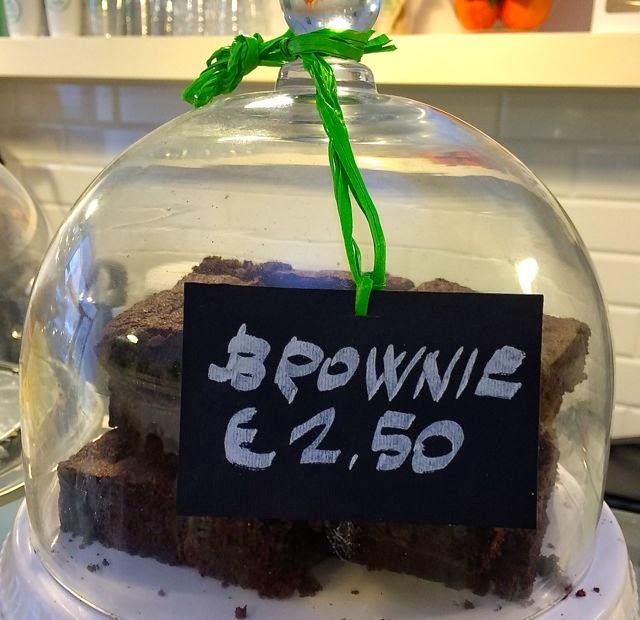 As the morning wore on the glass case filled up with carrot and coconut cakes, brownies and all variety of cupcakes. This cute spot is open 7 days a week, also makes bagels and will prepare a take-out lunch box. Not a baker or have a teensy or unreliable oven? 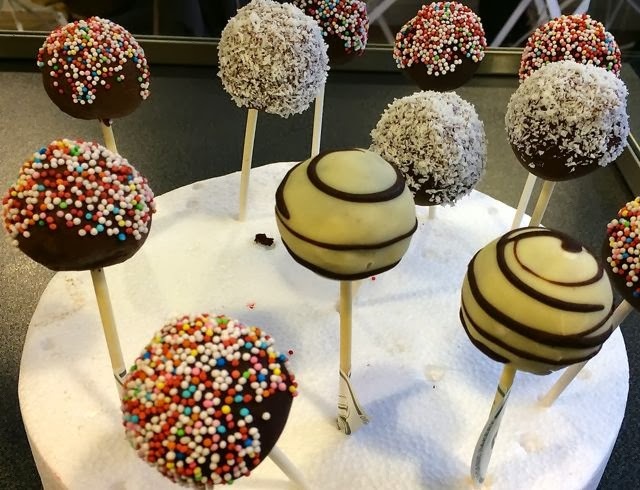 You can order cupcakes and cake pops for your next celebration. 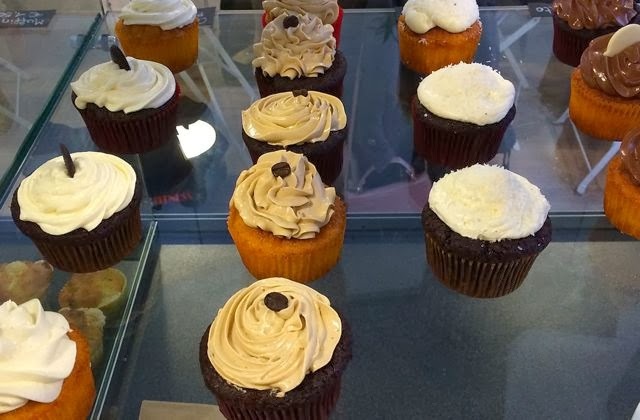 Looking for more bakeries in Rome for breakfast or cupcakes? Download my app Rome for Expats. 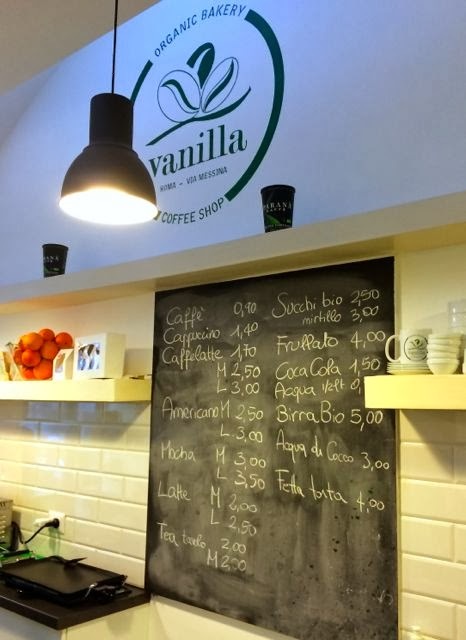 Looks good , but I would like to go to a more Italian café , this looks like the UK . I enjoy the traditional Italian breakfast of a Cappuccino and cornetto at the bar immensely. That said, I find a break in routine is always a good thing. 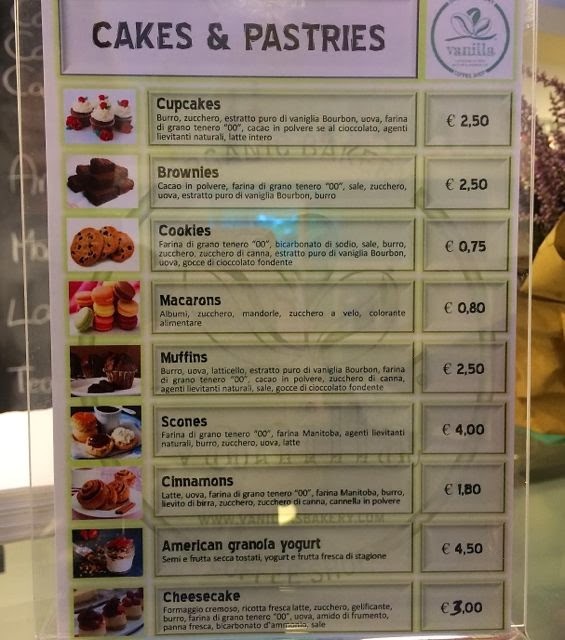 Oh my, but this looks like breakfast and treats in Santa Monica! I love this!